R0295. 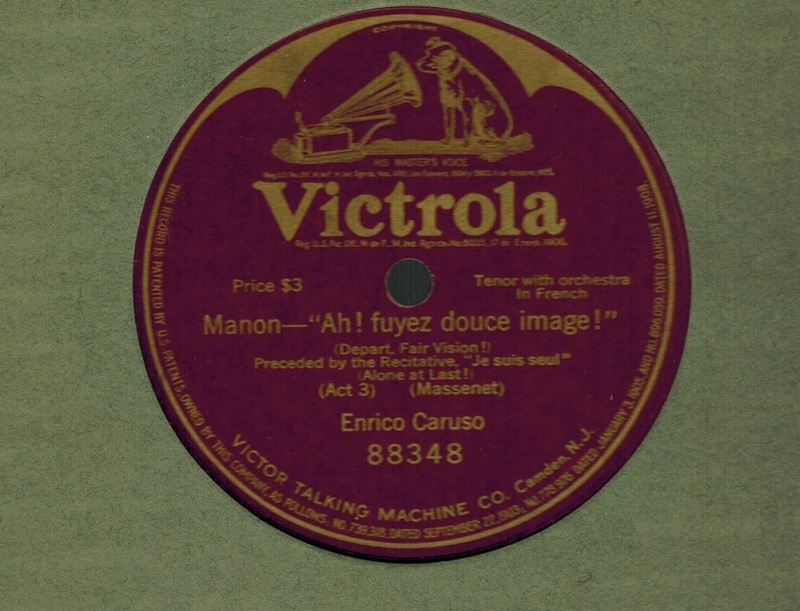 ENRICO CARUSO: MANON – Ah! fuyez, douce image (Massenet). 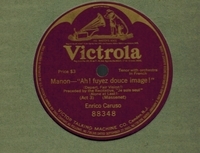 12” AC Vla 88348, POM-27 Dec., 1911. Choice copy has few infinitessimal dust mks.